I’m pleased to announce that November has been a busy month for a variety of new businesses who have chosen to plant their roots within the 8th District. 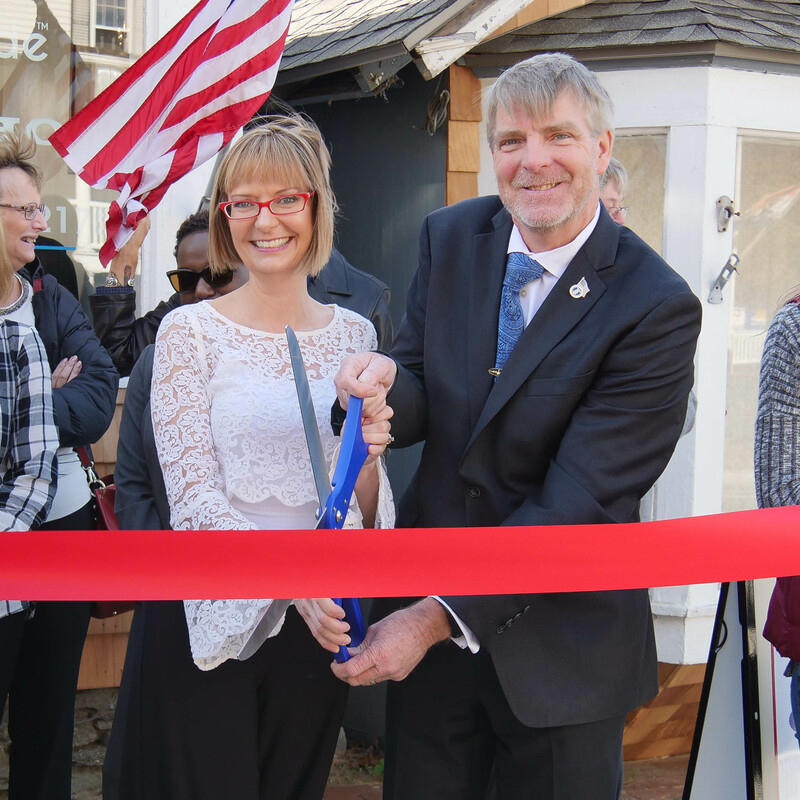 Back on November 8th, a ribbon cutting ceremony was held to welcome licensed optician Sonya Maher and eyeTrade to Coventry village. eyeTrade specializes in offering affordable and stylish eyeglasses, sunglasses, and contact lens technology. eyeTrade also offers a trade in program to benefit those who are unable to afford a pair of eyeglasses or sunglasses by donating them to medical missions and other charitable organizations across the country and around the globe. Anyone who brings in a pair of glasses or sunglasses (in functional condition) will receive 10% off toward your new frame purchase. eyeTrade is located at 1197 Main Street and is open Monday through Friday, 9:00 a.m. to 5:00 p.m. and 9:00 a.m. until 4:00 p.m. on Saturday. For more information, you can visit her website here. 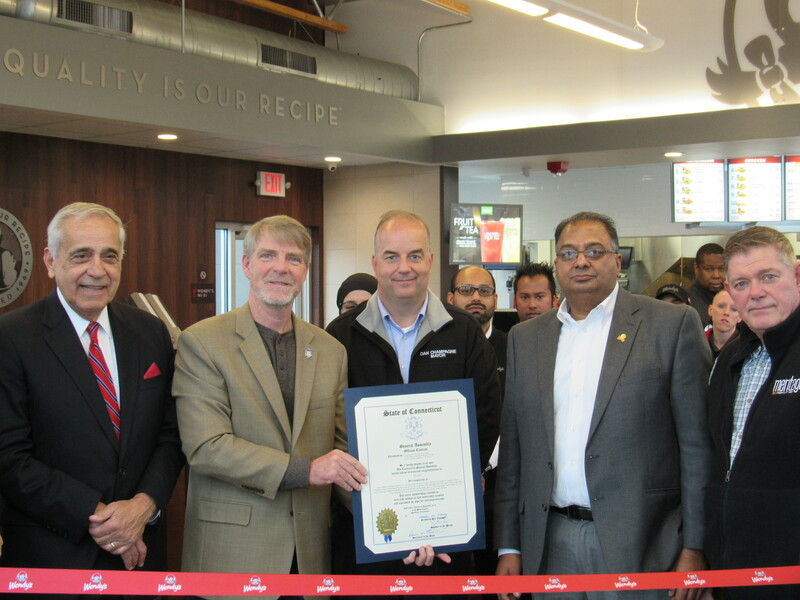 The Wendy’s Company opened a new location in Vernon at 145 Talcottville Rd (Route 83), right next to Taco Bell on November 7th. Construction for the 3,300 square-foot restaurant began in August and will feature burgers, fries, salads, a children’s menu, desserts, and a drive-through. 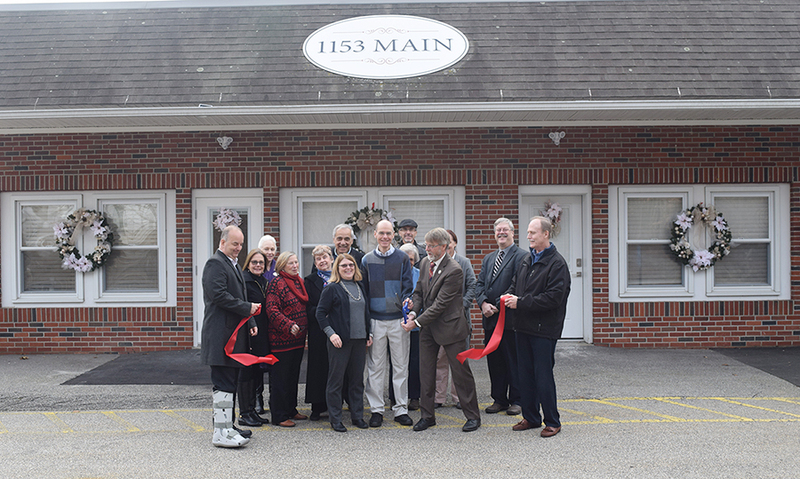 Lifelong Coventry residents Ed and Susan Grace kicked off their grand opening with a ribbon cutting event of The Coventry Village Professional Building on November 29th. The Coventry Village Professional Building rents out office space with Wi-Fi and electricity included for a flat rate of $5.00/hr. The newly renovated building also features a furnished office, separate waiting room and break room. Ed and Susan created this space as a flexible model to allow local professionals to rent space and only pay for the time in which they use. There are currently 11 various professionals renting space. Coventry Village Professional Building is located at 1153 Main Street, Coventry. For more information about the Coventry Village Professional Building please email them at coventryxc@gmail.com . I am very happy to share in the excitement of bringing these new businesses to our area. This excitement can be contagious and bring a renewed interest in attracting other businesses to the 8th District. I look forward to many more ribbon cuttings in the near future.